I am a BzzAgent and recently I was invited to take part in the Veet Easy Wax Electrical Roll-On Kit campaign. I am not a big fan of waxing due to the pain but I decided to give it a go. Thinking of home waxing, I always imagine a big mess. Melting the wax, which stays everywhere, except the place you really want it to stick, tons of strips flying around and a pile of wipes to clean afterwards. I really hoped that the new Veet kit could provide something different. My Bzz kit arrived promptly. I received a Veet Easy Wax Electrical Roll-On Kit and an Easy Wax Electric Roll-On Refill. So what you get inside the Veet Easy Wax Electrical Roll-On Kit? The self-heating unit heats the wax to the right temperature. The roll-on applicator ensures clean and even thin layers of wax for total coverage Veet Easy Wax™ Electrical Roll-On Kit contains. A self-heating device and its cap. I wasn’t feeling very comfortable with the device… it looked a bit scary to me but I am sure it is simply due to the fact that I am afraid of pain. It was time to start my journey with Veet Wax Electrical Roll-On. I followed the 7 easy steps on how to use it. 1. 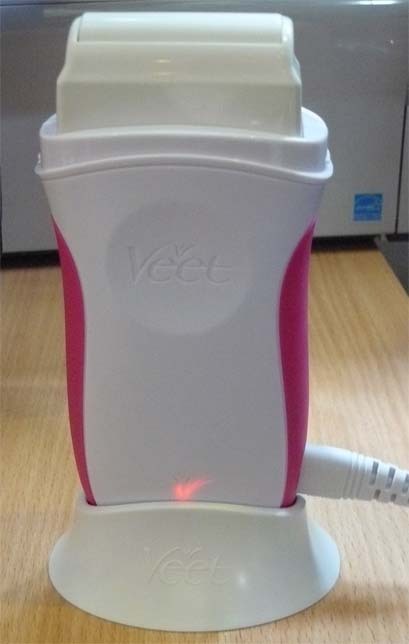 Insert the Veet wax refill into the device, ensuring that it is fully inserted. This one is very important! If you don’t put the wax in, there is nothing to heat up. If you don’t insert it fully it is not going to work as it should. So before you go off for 20 minutes please make sure that all is placed neatly in order to heat up correctly. 2. Plug the electrical cable into the device and into the socket. The red light turns on to confirm the device is heating. Place the plugged device on its base and leave it connected for 20min. After 20min the wax is ready for application. Start to apply the wax to a small area first, to check that the wax applies easily. If the wax does not easily roll onto the skin, let the device warm the wax for at least an additional 5min. The wax is ready when it glides out of the roller easily and applies evenly to the skin. Do not allow the wax to come into contact with water as it would become ineffective. The instructions said 20 min, but it took over 30 minutes in my case for the wax to get up to the desired temperature. This part sounds really easy. I was a little unsure about how hot the wax will be and if I am not going to “hurt” myself with it. To my surprise the temperature was perfect. It was hot enough to melt the wax but not too hot to hurt my skin. While applying the wax onto your skin you can definitely feel warmth and it is quite pleasant. The roller works fantastically making the wax application a really easy task. The roller rolled easily over my skin and left a nice even layer of wax in its trail. Placing a strip wasn’t a problem… it was the next task I was worrying about. Yes, point 5 of the 7 step instructions brought the most fear into my eyes. It really wasn’t such a big deal to heat up the wax or even put it on my legs… it wasn’t such a big deal to place a strip over my waxed leg but now… now I had to rip it off. Here it comes… moment of truth. To be honest it wasn’t so bad, yes there was a little pain but nowhere close to the pain level I expected. First strip done… it was time to work on the rest of my leg. 6. When you have finished waxing, remove any wax residues from your skin with a perfect finish wipe (you can alternatively use the back of a used strip). THIS WAX CANNOT BE RINSED OFF WITH WATER. I was thinking that this will be a messy task, but it wasn’t. There was only a little bit of wax left on my leg, which cleaned very easily with the wipes provided inside the kit. 7. Unplug the device. After use the refill will be hot – Allow it to cool down before removing the refill from the device. If necessary, you can clean the roller head using the back of a used strip. Never use water, the Veet Finish Wipes or any other liquid to clean the device & roller head. Replace the cap on the roll-on and store. Always store in a dry location. Do not wrap the power lead around the appliance, pull or twist the power lead. Discover Veet EasyWax™ Electrical Roll-On – an innovative self-heating wax system with a roll-on applicator for salon wax results at home. Formulated with the same ingredients as the waxes used in waxing salons, Veet wax removes hair from the root at first application, and is effective on hair as short as 2mm. It is specially formulated with natural beeswax for all skin types including sensitive. Skin remains impeccably smooth for up to 4 weeks! 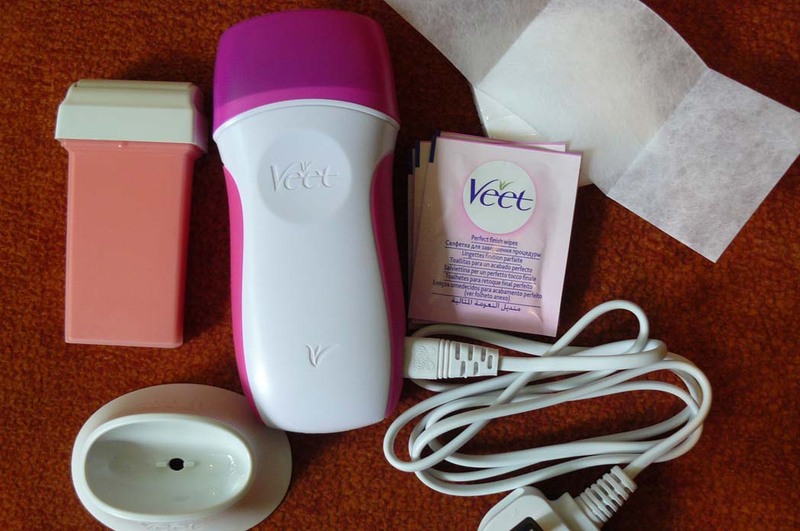 This is what Veet claims about the Easy Wax Electrical Roll-On Kit. Do I agree with them? The answer is… mostly yes. Yes, Easy Wax Electrical Roll-On Kit is a great system. Yes, it is easy to use and once you try it and know what to expect, you will love it. Yes, it removes hairs from the root, and yes, it works on short hairs as well. It doesn’t last nowhere near to 4 weeks. I know that this statement is for up to 4 weeks but to give you my honest opinion I would have to half this period. But hey… 2 weeks with hair free legs sounds good to me. 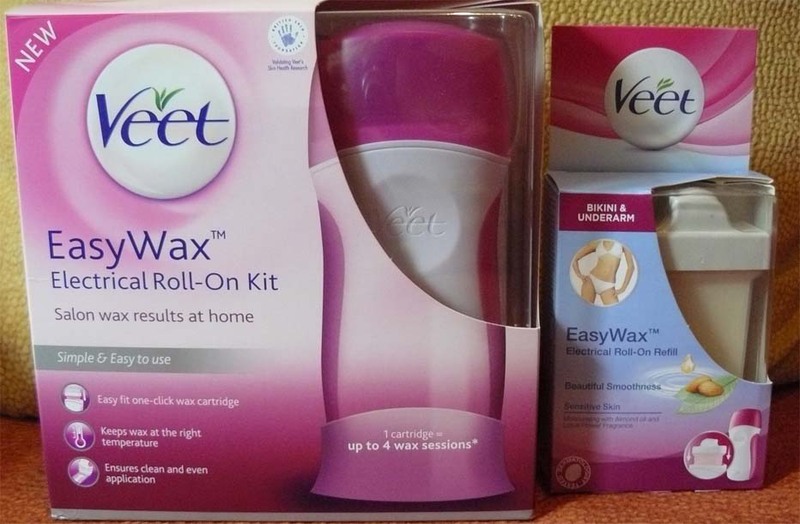 Veet Easy Wax Electrical Roll-On Kit has a RRP of £29.99. Currently it is on special Half Price offer in both Superdrug and Boots. To make the price even lower there is a special discount code you can use to get 50% off if bought from Amazon.co.uk. Code EASYWAX4 can be entered on Amazon.co.uk only. Please ensure that you buy directly from Amazon. This code will not work with other listings. * Product was provided by Veet via BzzAgent free of charge for review purposes. The opinions expressed in this review are honest and my own . Can we use this for removing facial hair? Cud somebody tell me the sideeffect of ths wax system .. Like once a waxing lady told me tht this thing discolours ur skin so better to take wax services from outside rather thn using these strips or roll on devices.. Is tht true or perhaps she was making me her client ???? There is no side effects as far as I know off. 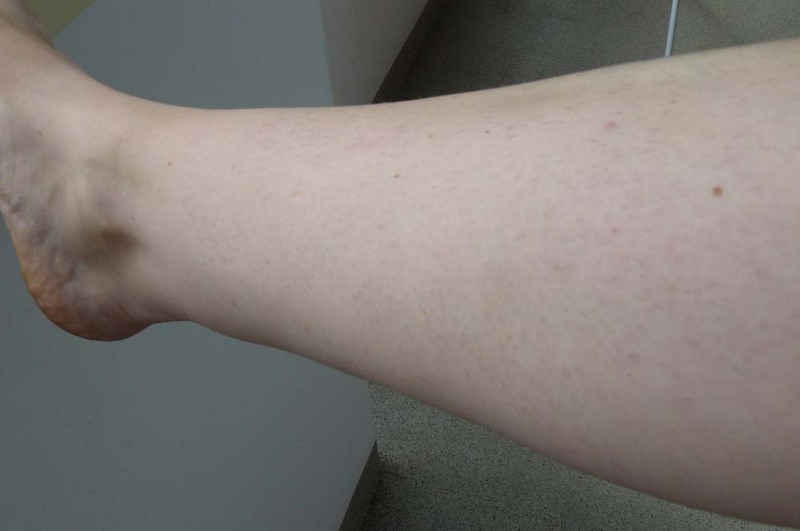 I’ve never heard about skin discoloration related to waxing. How long did the wax last? I mean, how long before you ran out of it? Oh.. Really? I read that it is supposed to last for like 4 times. So you think it’s one pack of wax for two legs? That doesn’t sound worth the money, to buy refills I mean. 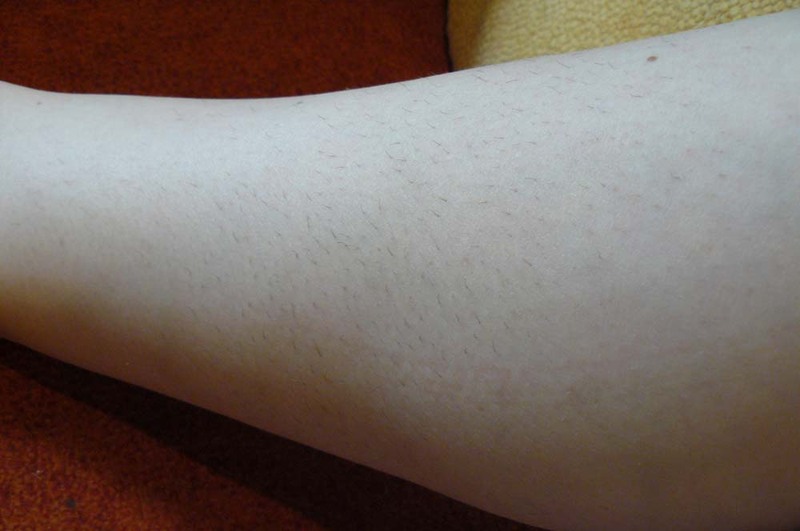 Mommy once ‘waxed’ her legs in the bathroom. It didn’t go so well. It hurt so much when she pulled the thingy off that she said a few colorful words, lost balance and fell on the floor to a fetal position. I’m looking down at my legs – I think they look just fine! 🙂 You did a wonderful write up for Buzz and the product. I’ll show this to mommy when she gets home from the worky place. I read this with a great deal of pleasure – at the fact men don’t need to bother! I reviewed the same product and I have to say I’ve never waxed in my life so it was all rather exciting and just a tiny bit scary. Works a treat though, doesn’t it 🙂 An excellent, detailed, informative review and a great read. Love your blog name by the way and the bark in your border pics, v clever :O) Nice to meetcha!